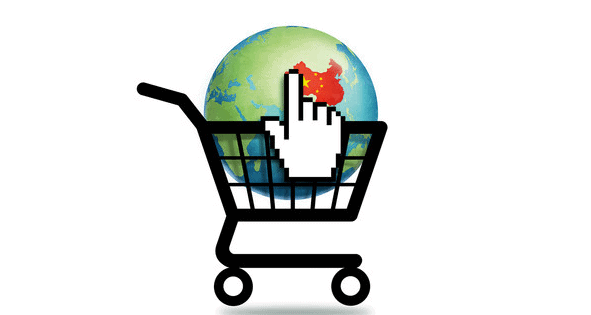 Online shopping has no more remained a privilege that people staying in countries like the US and UK would only enjoy. In fact, as on date, the Indian market place is inundated with a number of e-commerce options for shoppers to choose from. The variety of innovative products and services that are being offered online is spoiling customers for choice. The phenomenal growth of e-commerce industry in India in last couple of years is clearly evident from the way people are getting more and more inclined towards online shopping. This is what the report talks about as to how Indian ecommerce has changed over years and what is going to be its future. Although almost all the ecommerce brands in India are in the ecommerce battle field to get the throne and have their dominance in the market but the as of now the three major ecommerce players that are Flipkart, Amazon India and Snapdeal, are really working hard to beat each other in their own unique way. Whether it is the quality of service, range of products on offer or launching new things with an exclusive tag, they are working on everything that they could to attain the ecommerce supremacy. For instance, last week itself, Amazon India launched Coke Zero exclusively on its website allowing people to preorder before it ships later this month. This is actually a feature of a better version of an ecommerce service. Or, let’s talk about Snapdeal, the ecommerce website that allows you to book the new Mahindra Scorpio or even a house. A couple of days back you could book Mahindra’s forthcoming sports utility vehicle on Snapdeal by paying an amount of rupees 20,000 and once the booking was done you could go to a Mahindra dealership to pay the rest of the money when it launches on September 25. Recently, Snapdeal also added real estate to its list of available products. In collaboration with Tata Value Homes Ltd, the ecommerce company offers you to book a flat in any of the company’s housing projects across Mumbai, Bangalore, Chennai, Pune, and Ahmedabad by paying an amount of rupees 30,000. The most remarkable point is that it didn’t even take a week’s time after the vertical went live that Tata Value Homes managed to sell 85 flats on Snapdeal. Although, it was Flipkart that started this trend of exclusive partnerships with other companies and takes the credit, the company is not at all interested in advertising the exclusivity. According to the sources, a recent chat between BGR India and Flipkart’s vice president, retail & head, strategic brand alliances, Michael Adnani, revealed that customer hardly care about exclusivity but what they care about is the product. Whatever! We can’t deny that Indian ecommerce industry is booming high. In fact, a number experts claim that the market could be worth somewhere close to $70 billion in the next 4-5 years. And, the number of online shoppers is anyway increasing rapidly and is expected to touch 40 million in the next two years, from the current 25 million. Not just this, a huge pool of investment is being offered from everywhere to the major players to expand their business in the country. For instance, recently Flipkart was able to raise $1 billion in funding and just after a day Amazon announced that it would pool in $2 billion in its Indian operation. Talking about Snapdeal, it too raised a sum of $233 recently from investors including Ratan Tata, Premji Invest and eBay. According to the report the e-commerce giant from China, Alibaba too is looking to make its presence felt in the Indian market by investing in the Delhi-based e-retailer. This rapid growth of commerce industry in India is not going to get a halt and will keep changing the dynamics of the retail industry. However, at the same time, the e-commerce companies must focus on innovating, putting up strong technology infrastructure and delivering the best customer experience.